A lacklustre photo of a product surrounded by obvious props. Bland, humourless copy that was clearly written by an agency. We’ve all seen it and – let’s be honest – it’s not doing anything for anyone. People crave authenticity on their social feeds – those behind-the-scenes captures that transparently show how the product is made, the face behind the brand that tells the story of how it all came about, the posts that incorporate real people who embody the ethos of the brand. Just look at how much people love Vocation’s behind-the-scenes shots, , how Olly’s Olives have charmed people with Olly as the face of it all , and ads rejecting all the fakery and instead featuring real people. Another clear finding in the last few years is the rise of the importance of video on social media. Only 38% of users are likely to skim video content, compared to 52% for photos, and 73% for blogs, with 53% of consumers actively saying that they would prefer to see more video content from marketers. Like it or not, video is here to stay for social media marketing, and it’s only going to get bigger. 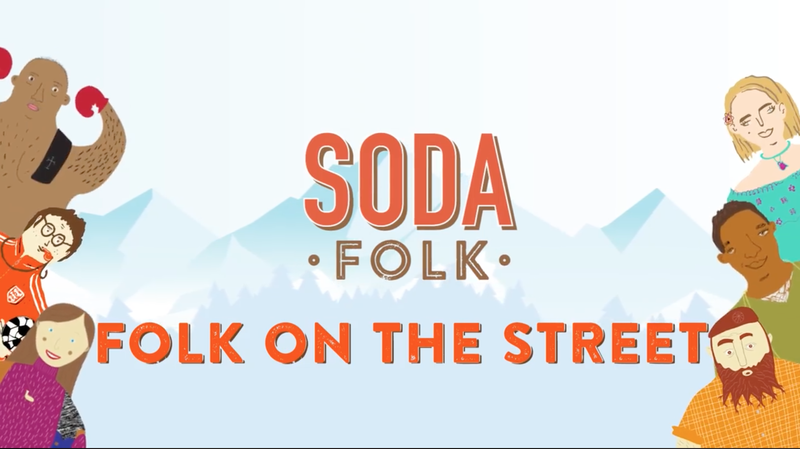 So, when we were dreaming up campaigns for our client Soda Folk – an ace Colorado born craft soda company whose cans and bottles come with with illustrations of amazing people (or ‘Soda Folk’) who have done a small but generous act of kindness in their own communities – we came up with the concept of ‘Folk on the Street’. All the Folk on their Sodas are doing amazing things… but we figured there are also plenty of people out on the streets doing small acts of kindness that no-one even knows about. Of course, some people laughed, others philosophised, many declined to be involved at all. But that’s the beauty of it; real answers from real people. Nothing staged. Nothing false. Nothing to do with the product, really. Everything to do with what Soda Folk is all about. We did a little editing and added some motion illustrations to our footage and our Folk on the Street videos were ready! We’re proud of the results – have a watch for yourself on the Soda Folk facebook.